Athens, GA (March 28, 2008) - There is no way NBA Commissioner David Stern should get a free pass for his "lecture" to the media that the term "going overseas" is so antiquated and incorrect to use. He also says that it takes no longer to fly from Miami to Paris than it does to fly from Miami to Portland. He does not see what the problem is because the teams will be using a chartered jet. Unless the NBA teams have a souped up test jet from NASA, I would love to know how he has done his math. So Mr. Stern, take your attitude and go away and rest. Overseas is overseas. 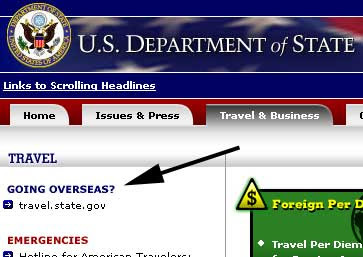 Even the State Department calls it that. If you don't like that, then here are some alternatives that might hopefully pass your litmus test. I would include "Travel Abroad", but that has sexual connotations to closely related to the behaviors and indiscretions of some NBA players. *Mr Stern, reality and you don't get on, do they?"